Houseplants are kind of like potato chips. You can't have just one! One of the great things about certain types of plants though is after the initial investment you can use the plant to propagate "babies" that will grow into full-sized plants over time. Not only is it a really fun process to watch it will increase your plant population with little to no cost to you. 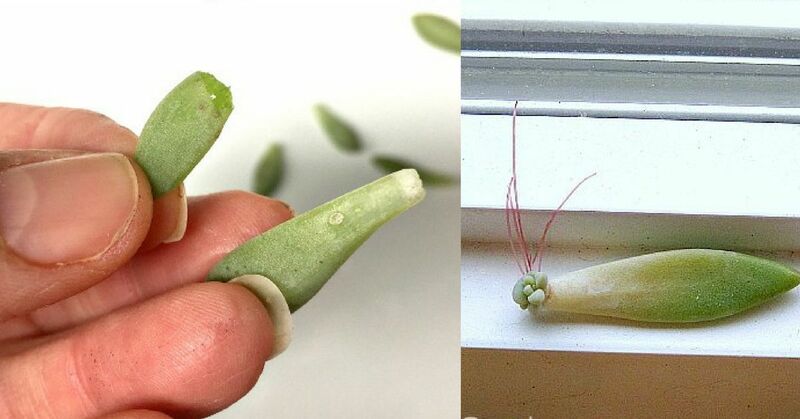 Propagating succulents is not a difficult thing to do, at all. These 5 great tips will have you well on your way to growing many new starter plants from the plants you already own. There are two different types of cuttings that can be propagated to grow new plants: stem cuttings and leaf cuttings. 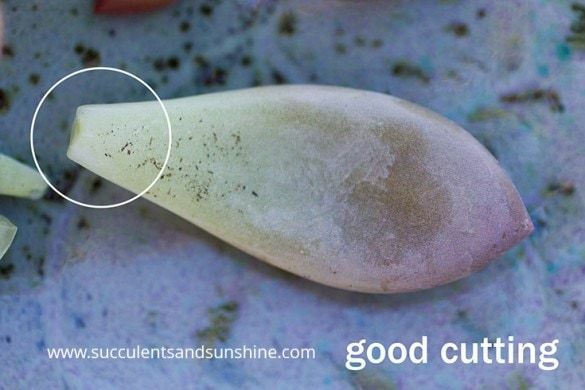 To take a stem cutting, use a sterilized scissors to cut off a piece of your succulent just above a leaf on the stem. 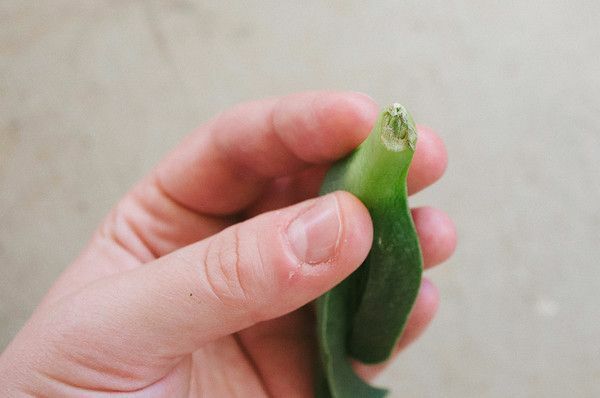 For a leaf cutting gently take hold of the leaf you'd like to use -- Espoma recommends a larger, mature leaf that looks healthy with no blemishes -- and wiggle it back and forth until it breaks off from the stem. Make sure it breaks cleanly all the way down to the stem, without leaving any pieces of the base behind. To propagate successfully it needs the leaf intact fully. If you'd like your cutting to root more quickly, dip the end in rooting hormone. 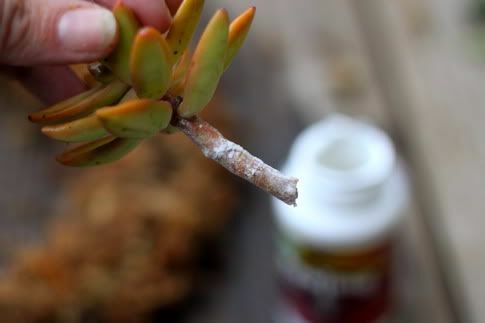 Succulents will root quite easily on their own making this step not as critical as it is with other species of plants. Before planting the cutting into soil or perlite, it's important to allow the cutting time to form a callus. Birds & Blooms states this is to keep the leaf/stem cutting from rotting. Nothing special needs to be done to facilitate this part of the process. Simply lay the leaf or stem cuttings in a bowl, or right on the windowsill to dry down. The end should callous within a few days. After the calloused end starts to grow new baby roots (or even teeny tiny leaves) it's time to plant them into the soil. At this point, you can put them into individual pots or group them together until they grow bigger. 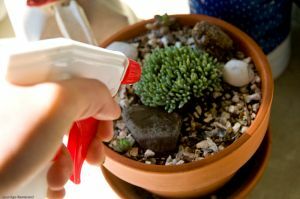 Gently press the roots into soil, or specialized potting medium for succulents, to avoid breaking off the delicate roots. 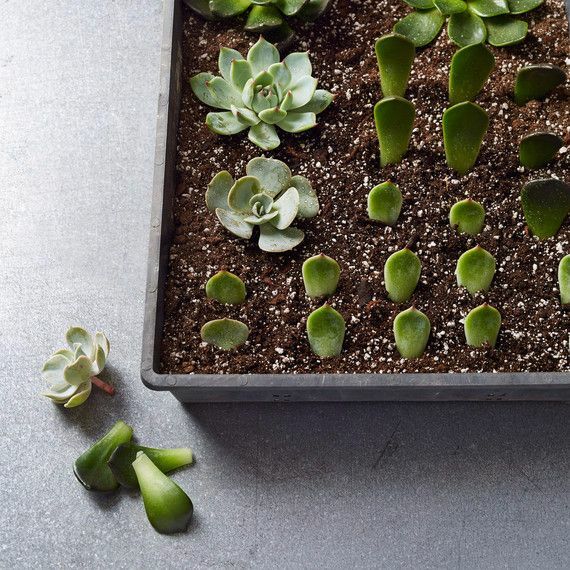 Once your newly rooted cuttings have been planted, follow basic care instructions for succulents. Allow the soil to dry out completely between waterings and fertilizer sparingly. To keep from overwatering, you can use a spray bottle to gently mist your plants. A light feeding of fertilizer in the spring or summer is sufficient to last the succulent the entire year.